Disney's most iconic villains are coming to Disney's Hollywood Studios August 23rd for the Villains Unleashed event! Check out the details! 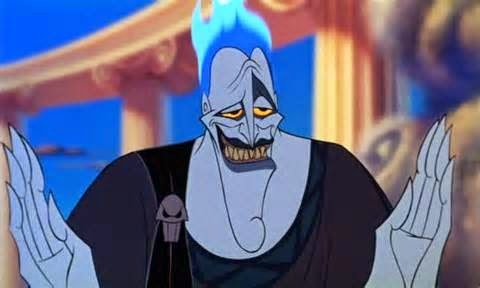 Hades Hangout - The party kicks off at 8 p.m. at the main event stage, where hosts Hades, Megara, Pain and Panic are killing ‘em with comedy. They're joined throughout the night by the Underworld Dancers, DJ Igg Nite, live music from Bernie Briquette and Brimstone, and a rogues gallery of roaming rottens, from the Queen of Hearts and Sheriff of Nottingham to the Big Bad Wolf and Captain Hook. Villains Dominion – For this one special night, the Streets of America area of the park will be swarming with baddies. Here, you’ll have the opportunity to meet favorites like Cruella De Vil, Jafar, Dr. Facilier and Gaston, along with more rarely seen baddies such as Shan Yu from "Mulan," Bowler Hat Guy from "Meet the Robinsons," or Captain Gantu and Dr. Hämsterviel from “Lilo & Stitch: The Series.” In addition to these dedicated villain encounters, you may spot even more wandering evildoers in the area. Look for Judge Claude Frollo, Lady Tremaine, Anastasia, Drizella, and more! The Dark Side – During "Villains Unleashed," the area around Star Tours – The Adventures Continue becomes a wretched hive of scum and villainy, the place to find nefarious bounty hunter Boba Fett, Sith apprentice Darth Maul, and the ultimate villain – Darth Vader! And that’s not all! Wandering the area, you’ll stumble upon more malcontents from that galaxy far, far away: Zam Wessel, Aurra Sing, Asajj Ventress, Jango Fett, Greedo, Jawas, and others. It won't be all scary with doom and gloom. These group of baddies are ready to entertain. In fact Disney Villains have plenty of intimidating moments. Here's a look of some of their not so choice moments.